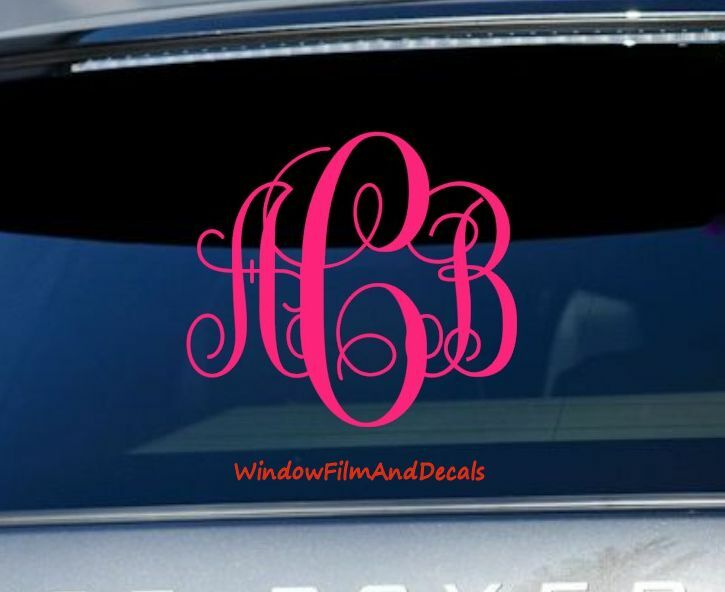 Customize your car, truck, RV, or SUV windows with our vinyl vine monogram decals. Add your initials to your rear or side rear windows. They can also make great gifts for family and friends!! You will receive (1) Decal in vine monogram with 3 initials in the size and color of your choice. Our Vinyl is high-quality vinyl that is made for 5-year outdoor use. The size represents the height of the middle initial since it is the largest. The width of your decal will depend on your initials. For example, W and M are wider than A or I.